Imagine eighty-year old Moses, tending sheep on a mountainside, just as he had for the previous 14,600 days (forty years)—give or take a few. He had absolutely no reason to think this day would be different from the thousands before. “I have seen the misery of my people in Egypt, and I have heard them crying out because of the slave drivers. I know how much they’re suffering. I have come to rescue them from the power of the Egyptians and to bring them from that land to a good land with plenty of room [for everyone]. 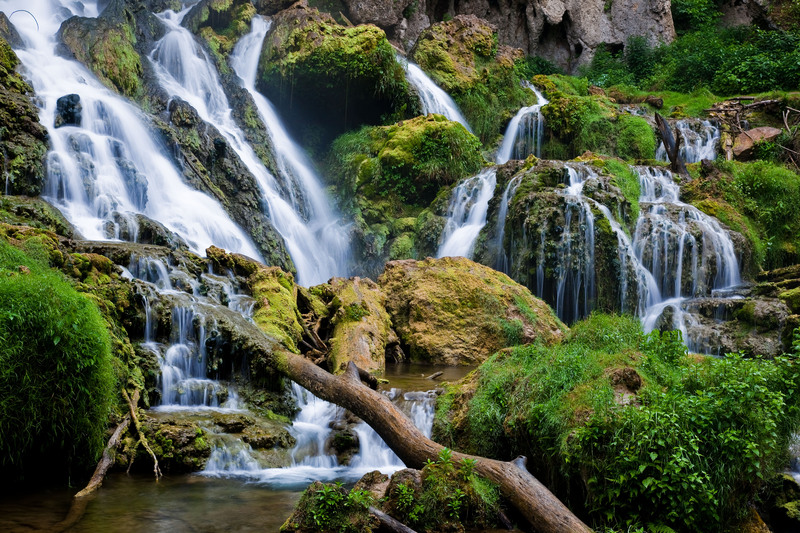 It is a land flowing with milk and honey” (Exodus 3:7-8, GWT). According to Acts 7:6, God’s people had endured slavery for four hundred years. That’s 146,000 days—give or take a few. God saw their misery, heard them crying out, and was concerned about their suffering. So why would God wait so long? Think of the generations who prayed for deliverance and the answer did not come. They never knew. 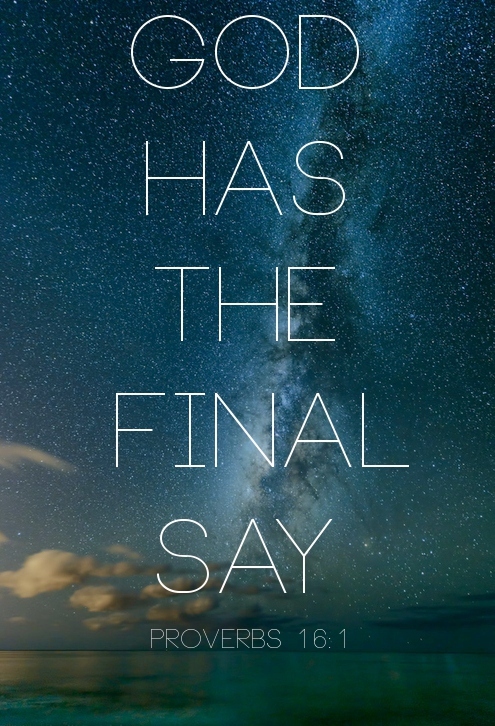 Even now, although Bible scholars have speculated, we have no definitive answer. God chose not to tell them/us. But the experience of the ancient Israelites, as well as those of countless others through the centuries, prove: even in the Christian life, questions go unanswered, uncertainty can become a constant companion, and doubts linger in the shadows. What’s to be done when the answers don’t come? 1. Reaffirm what we know to be true. God has good reason to be silent or he wouldn’t do it. Whether he ever reveals the reason(s) is up to his discretion. But one reason is certain: If he answered every request immediately, we’d become very spoiled and never develop our faith. 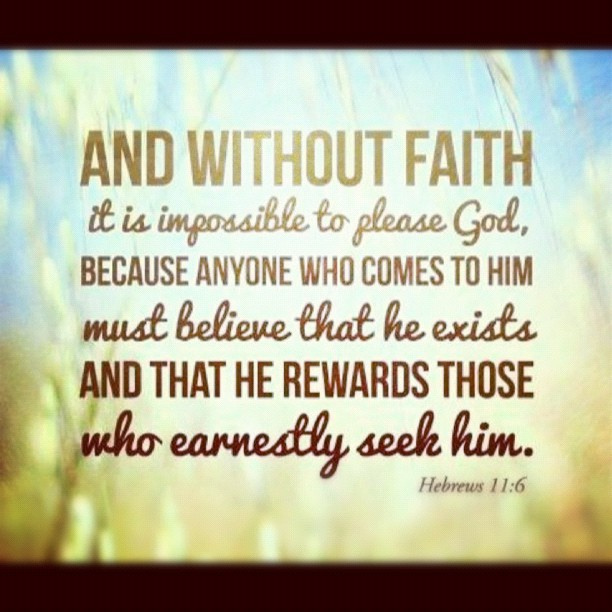 And faith is very important to him (Hebrews 11:6). Our trust in his always-perfect capabilities is to our benefit. Consider that at this very moment you are traveling 67,000 miles per hour. (And you thought you were sitting still!) The whole planet is orbiting the sun at that mind-boggling speed. Just as we forget we’re flying through space, so we sometimes forget that God is moving, always working on our behalf (Romans 8:28)—even when there’s no evidence of the fact. “His silence is the sign that he is bringing us into an even more wonderful understanding of himself” – Oswald Chambers. 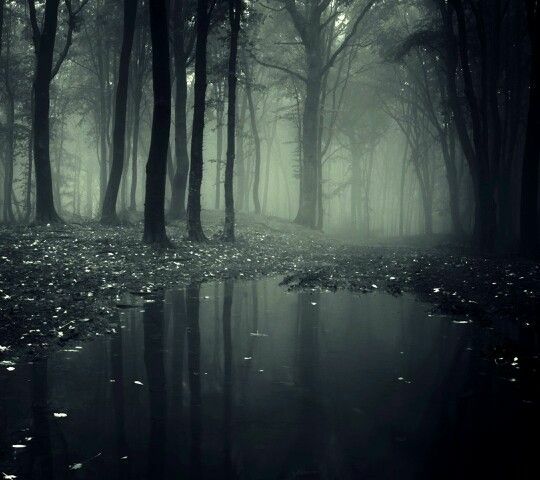 * In the silence we seek him with more diligence. I have unconfessed sin in my life. He’s given me direction but I have yet to follow. He’s waiting for me to cooperate. 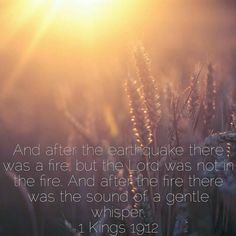 I’m trying to work things out on my own, creating such a racket of busy-ness I can’t hear his gentle whisper (1 Kings 19:12). He’s growing my faith (Isaiah 50:10) and building my character (James 1:2-4) to make me more useful for his purpose. Fulfilling his purpose will satisfy my soul also, on a level unknown to me now (Luke 6:38). He’s accomplishing a purpose only he knows about at present. Rely on scriptural fact, not emotions. God is loving, faithful, and present with us. He never overlooks a child, and will see us through whatever he deems best (Psalm 145:8, 13, 18, 20 and Psalm 23:4). Take encouragement from Bible promises, even pray them back to God. But hold onto them with a light grasp because we are subject to God’s plan for fulfillment and his timetable. Good thing, too. 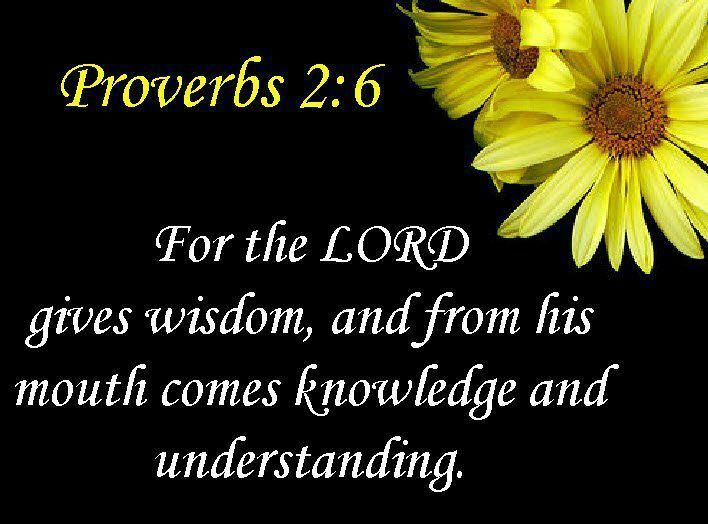 He is the all-wise One in total, proficient control of everything. 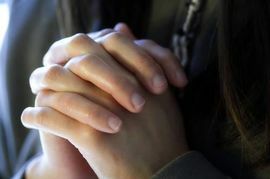 Even as I wait in the silence for your intervention, Lord God, I praise you for your sovereignty and affirm: you know the best way and the best time to fulfill your plan. I thank you for your strength that empowers me to persevere, and the assurance of ultimate victory in the end as I rely upon you. Is there a scripture, quote, or thought you find helpful when the answers don’t come? Please share in the comment section below! *My Utmost for His Highest, Dodd, Mead, & Co., 1966, p. 285. Some years ago I started keeping prayer cards instead of a prayer list. A 3x 5 gives plenty of room to record updates and answers. Another benefit: It’s easy to rotate through the stack, praying for six to ten people/organizations per day. One card in the stack trips me up. At the top is written the name of “a difficult person.” He’s arrogant, dishonest, and unreliable. So I finally did some reading on the subject of difficult people, to find out how to pray for such individuals. Below are several suggestions I found helpful. If you have challenging folks in your life, perhaps you’ll find these thoughts useful also. Open the heart of this person to the error(s) of his ways. Reveal the truth of the gospel to him—that Jesus is the only Way to salvation. Grant the person self-awareness so he’ll see how his choices and behavior negatively impact others. Curtail his influence so that innocent people might be protected. Bring godly people into his sphere, to exemplify the God-enhanced life. Cause circumstances that draw his attention to God. 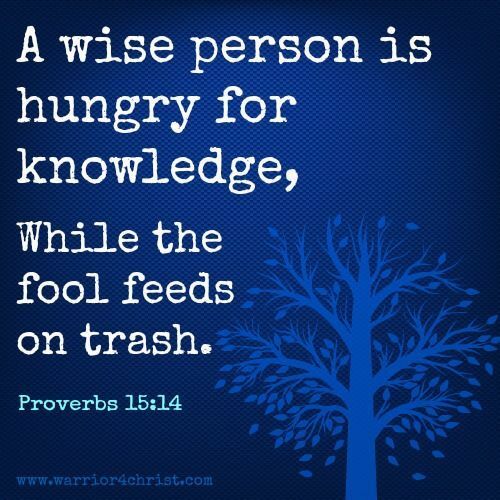 Reveal the difference to him between godly wisdom and human foolishness. He is sovereign over all—even difficult people. He can cause positive outcomes—in spite of erroneous judgments. “Mistakes” on their part can actually produce God-ordained benefits. 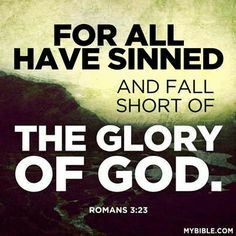 it’s easy to lose sight of my own sinfulness. I have not lived free of pride, dishonesty or unreliability either. I fall short of your desires for me. to become a better version of myself. it is with deep humility I pray for Mr. X.
I am no better than he is. and the reality of salvation through your Son, Jesus. I pray Mr. X will seek the Light of your wisdom to guide his way. and reveal to him the full, true consequences of his behavior. Guide him to change course to your ways. to draw him to you. and using that sovereign power to curtail his influence. to produce positive outcomes even through difficult people. The story of Joseph is one example. can actually produce just and righteous benefits. *Ralph Sockman,The Higher Happiness, Pierce & Smith, 1950, p. 107. How do you pray for difficult people? Please share your insights in the Comments section below! (Art & photo credits: www.fotosearch.com; http://www.pinterest.com (5), http://www.ourdailyblossom.com; http://www.pinterest (2). Yesterday, our church worship service ended with three baptisms. (Seven more took place at two other services.) What a heart-warming delight to celebrate the symbolism of new life with each participant! One of those baptized was the pastor’s son. As he rose up from the water, he smiled broadly and hugged his dad. Tears filled my eyes to witness a young boy committing himself to life with Jesus. But how do we access a shelter that is invisible? 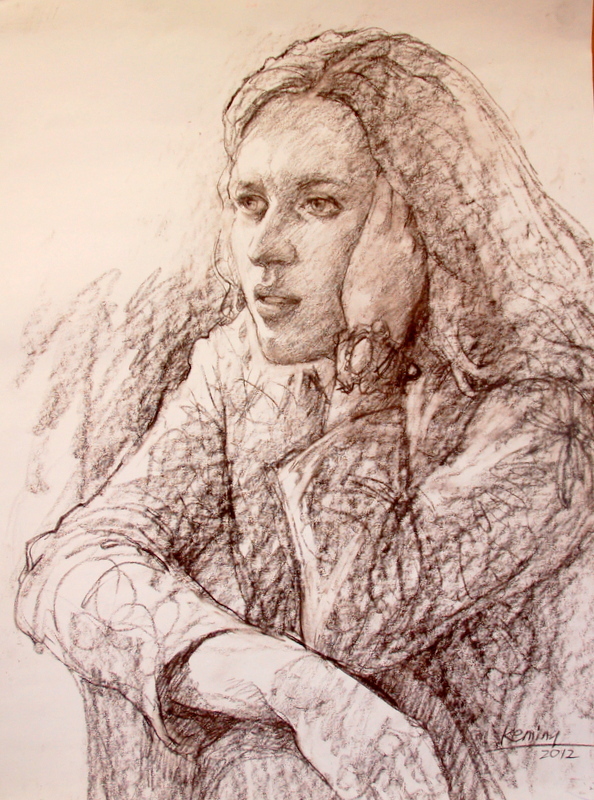 By centering our thoughts on God. Even amidst the business of each day, we can pause now and then and imagine a personal refuge with him (on a quiet beach, under a sturdy tree in the forest, by a lake in view of mountains–those are a few possibilities). First, we breathe in the peace of his presence. Yes, just the simple act of taking a deep breath while whispering such words as, “Prince of Peace, I welcome you,” can create a shift from tension to tranquility. 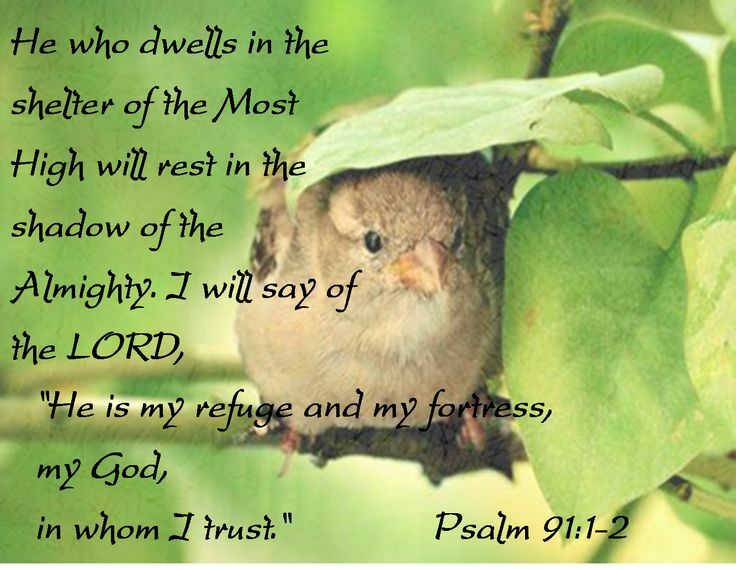 Then, like the psalmist, we reaffirm our trust in the Most High God, the Almighty–the One whose kingdom rules over all (Psalm 103:19b), yet he knows the number of hairs on each of our heads. A pantry full of groceries is useless unless the food is consumed. Similarly, the great storehouse of inspiration and counsel in the Bible is of no use unless we read it, believe it, and live it out. The abundant, God-enhanced life of contentment and joy comes to those who taste of God’s character, promises, and wisdom—all found within the pages of scripture, ready to put into practice. Strong—though not all at once, any more than a tree reaches maturity overnight. 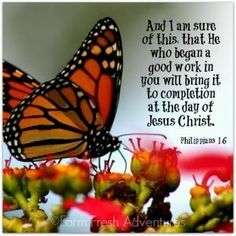 Growth occurs day by day, bit by bit, as we cooperate with the Spirit. Green-leafed—radiant with health, reflecting the Lord’s glory, his goodness and character (2 Corinthians 3:18). Full of fruit—a natural by-product of the Spirit’s presence. “Every good tree bears good fruit,” Jesus said (Matthew 7:17). Examples include humility, purity, and selflessness. 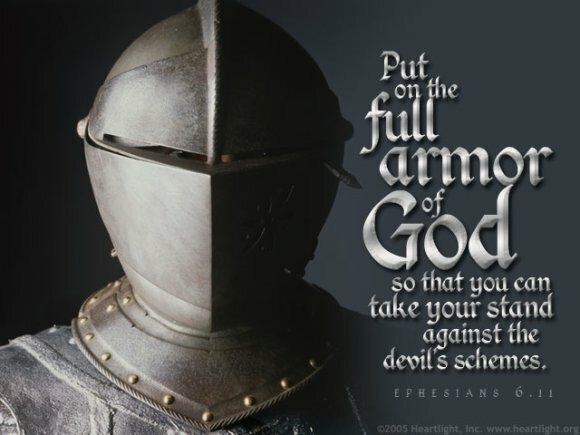 Familiar to many of us is the spiritual “armor” that Paul described (Ephesians 6:11-17). A worthy addition would be a garment of praise (Isaiah 61:3). Like a favorite sweater worn at every opportunity, praise of our Father should accompany us everywhere. This is certain: God is more than able to provide for our every need—physical, emotional, mental, and spiritual. 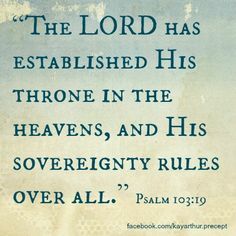 The almighty God rules from his throne in heaven, a throne he established before the beginning of time (Psalm 103:19a). He’s got this–and everything else. 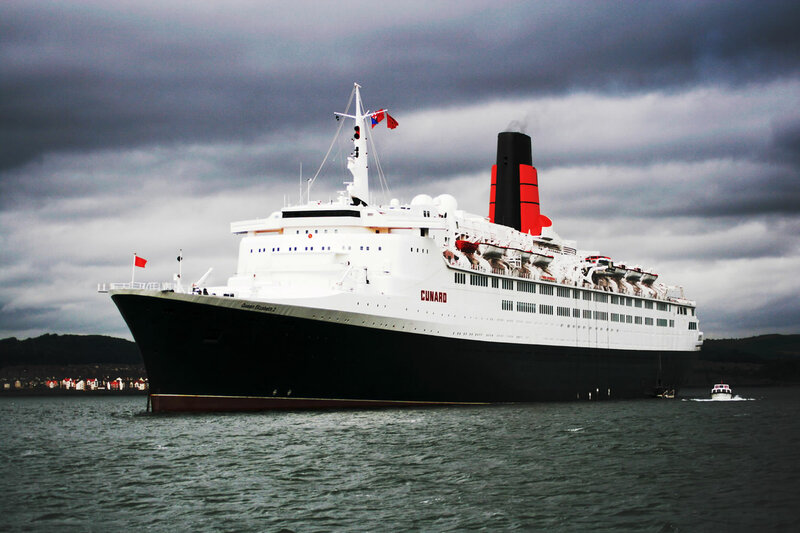 Pretend you’re on an ocean liner that has embarked from New York City and is sailing to England. You and several thousand other passengers enjoy your days at sea, free to choose from dozens of activities—games, shopping, shows, sports, crafts, and more. You can eat anytime you like, sleep whenever you feel drowsy, make friends among the other passengers, or remain solitary. In other words, you make many choices during the voyage, but all the while the ship is headed towards its predetermined destination. A.W. Tozer gave us this illustration in his classic, The Knowledge of the Holy (Harper & Brothers, 1961), to help us understand God’s sovereignty: 1) Our all-powerful God has total authority in the universe, just as the shipping authorities exercise sovereignty over the course of a ship. 2) We have been given much freedom, within the confines of God’s sovereignty, to move about and make choices. Now some folks take issue with God’s control. They want to direct the course of their life-ships. 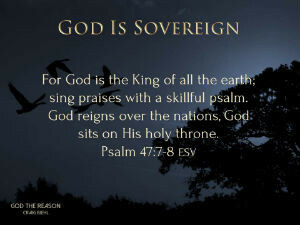 I, for one, find great comfort in the numerous, reassuring scriptures about God’s sovereignty. For example, everything in heaven and earth belongs to Him. 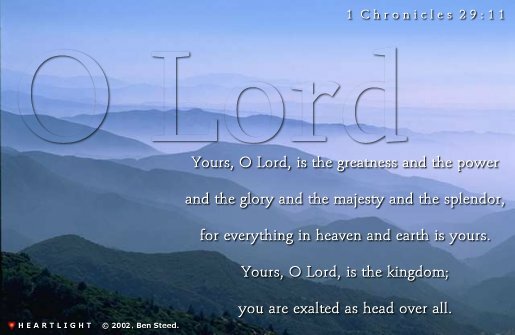 He is the glorious head over all, the ruler of all things (1 Chronicles 29:11-12). That includes us–those who know Jesus and belong to the family of God. As our Heavenly Father, he provides for our needs, guides us through decisions, bestows many blessings, and more. What encouraging truth! The Almighty God of the universe is in charge of our lives, as we submit to him. We don’t have to navigate alone. The key, however, is submission. God is a gentleman and will not force himself upon us. He has chosen to limit his sovereignty, to allow man free choice. Another reassuring truth: God is totally competent. We’ve all known inept leaders who could not fulfill their responsibilities. But our Ruler is supremely capable. Nothing is too hard for him (Jeremiah 32:17). 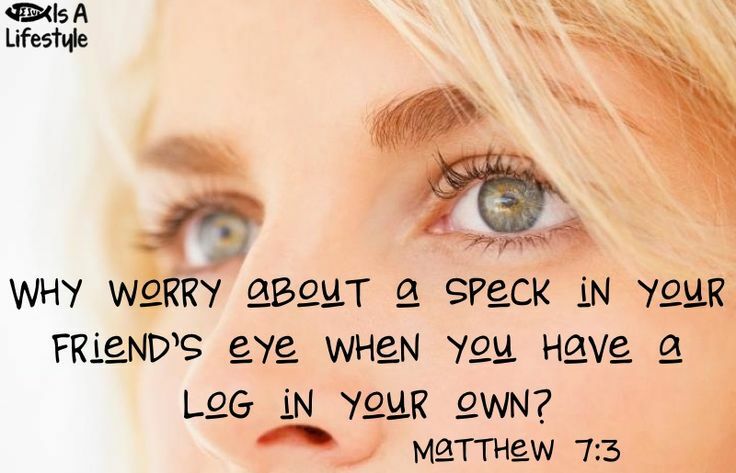 As we focus on his complete sufficiency, our worries shrink in significance. 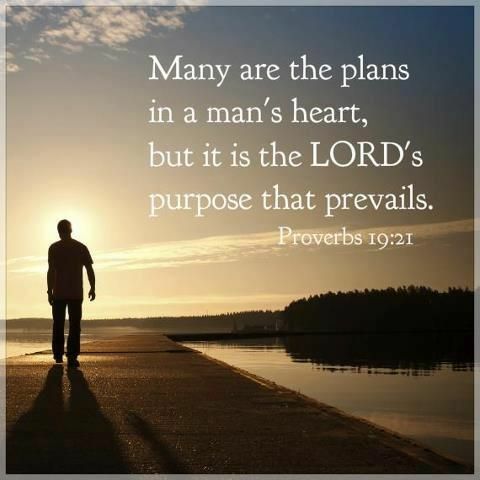 In addition, no plan of God’s can be thwarted (Job 42:2). What God says, happens. His sovereign plan is efficient and goal-oriented. 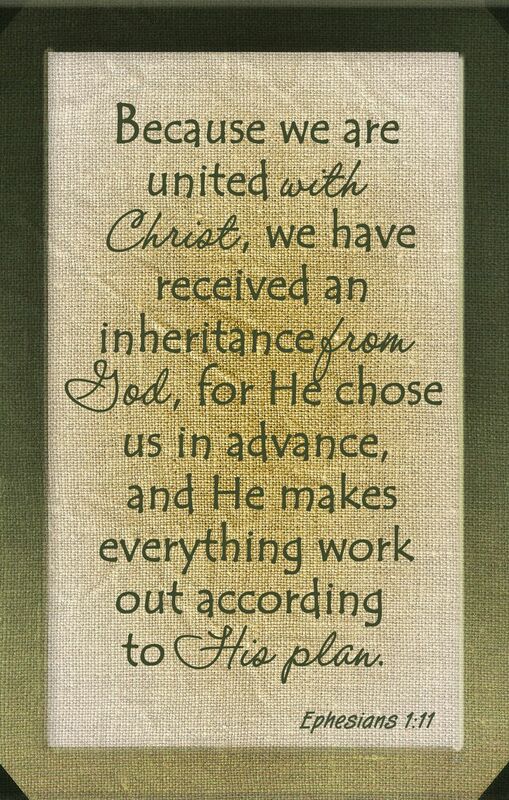 He works out everything in conformity with the purpose of his perfect plan (Ephesians 1:11). God’s sovereignty is also employed with infinite wisdom (Job 12:13). No foolish decisions come from God’s throne! And contrary to appearances, he does maintain over-arching rule on mankind (Jeremiah 32:27). That would include the barbaric Babylonians of Jeremiah’s day, who destroyed Jerusalem, murdered the nobles of Judah, and took thousands of Jewish captives to Babylon. God’s over-arching rule also applies to the wicked forces creating havoc in our day. Good people are often hurt in the process, and it breaks our hearts. Every century has had its martyrs for the faith. And our questions of why God allows bad things to happen to good people don’t always get answered. We’re not privy to everything God knows or to all the reasons behind his decisions (Romans 11:33-36). What we do know is this: Evil never wins in the end. Every evil empire of history that rose in prominence and power eventually fell in ruin. 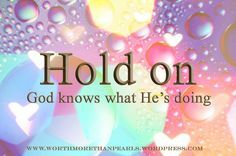 Our sovereign God knows what he is doing. He will have the last word. So when the squeaky wheels of worry, doubt, or fear begin to spin in your head, and you wonder, Is God in control?, apply the oil of gladness in who God is—our all-powerful, all-knowing, all-wise, and yes, in-control God! 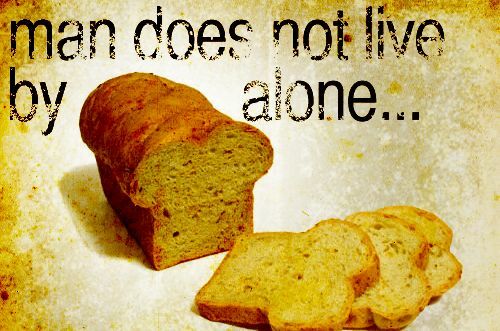 Take joy in the knowledge that “If God is for us, who can be against us” (Romans 8:31)? And rest in the affirmation that “from him and through him and to him are all things” (Romans 11:36, emphasis added). Sovereign Lord of the universe, we bow in worshipful wonder of your magnificence. Your greatness shatters all boundaries! We stand in awe of your vast power and infinite wisdom, always at work in the world. “And when I cannot understand” [your plan or your ways], “help me just to stand” (Selwyn Hughes). (This is the last new post until July 3. As most of you know, Steve is retiring from the pastorate, after serving forty years in Florida. Mid-June we move to the Midwest, to be close to our sons. And if our daughter and her family would just move east from Washington State, life would be near-perfect! Packing and unpacking are time-consuming tasks, as you know, so I’ll put the blog on hold for a few weeks. God will do the right thing at the right time. “I choose the appointed time; it is I who judge uprightly” (Psalm 75:2). But we do sometimes wonder why our ideas of the right thing don’t seem to match his idea. And we do unabashedly wonder about his idea of right timing. We also wonder why there’s not even a hint of progress toward that right thing we desire. We wonder why God is silent. But God’s silence is not like that of people. He doesn’t give us the silent treatment in some petty game of payback. And it’s not a case of forgetfulness either. More than likely God is working on other matters rather than that one we’re focused on– other matters such as perseverance, faith, and spiritual maturity. These character traits and others don’t grow so well if we’re always getting what we want when we want it. We can rest assured there is purpose in the pause. And just knowing that can ease our impatience. 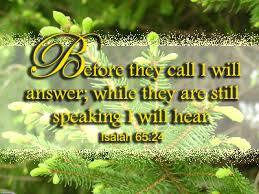 One of my favorite promises is Isaiah 65:24. “I will accomplish all my purpose” (46:10b). God is not only working in our behalf now, he foresaw our need and began working toward its fulfillment before we uttered the first prayer. He started arranging events and bringing together people and resources so that at just the right time the right thing will happen. Notice the “I will” in each of those verses above. Isaiah did not record God’s good intentions. These are promises of the Almighty God of the universe, our always-truthful, always trustworthy Heavenly Father. I praise you, Heavenly Father, for being reliable and trustworthy. I can’t imagine life without you as my foundation. Thank you for every promise in your Word that gives me support. Once again, I avail myself to your plan, so you can do the right thing at the right time—without the interference of my impatience or doubt!